The Kentucky Gazette (Lexington, KY) August 8th edition lists 2nd Day returns: 459 votes for David White, Jr. and 299 votes for John Logan. 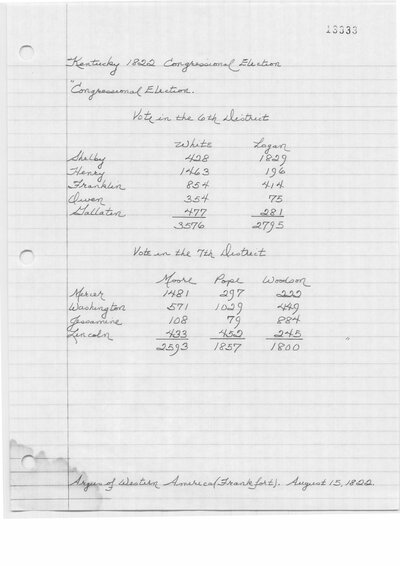 The August 14th Commentator lists 425 votes for David White, Jr. The Commentator (Frankfort, KY). August 14, 1822. Argus of Western America (Frankfort, KY). August 15, 1822.